The trunk room lamp comes on when the trunk is opened. The trunk lamp comes on as long as the trunk lid is open. 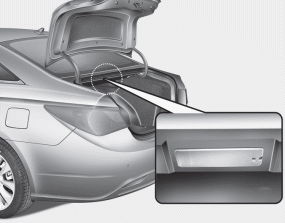 To prevent unnecessary charging system drain, close the trunk lid securely after using the trunk.